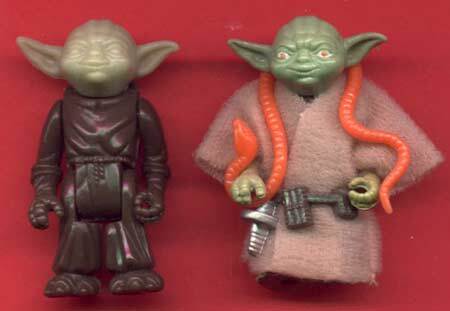 This first shot.Yoda is interesting because of the color of the head. It is molded in a sort of creme color, not unlike the color of "glow in the dark" types of plastic, instead of the production version, which was molded in light green. The body and limbs of the figure are exactly the same as the production version, but unpainted.